Jellyfish (primarily scyphomedusae) fisheries have a long history in Asia, where jellyfish have been caught and processed as food for centuries. More recently, jellyfish fisheries have expanded to the Western Hemisphere, often driven by demand from Asian buyers and collapses of more traditional local fish stocks. Jellyfish fisheries have been attempted in numerous countries in North, Central, and South America, with varying degrees of success. Here, we chronicle the arrival of jellyfish fisheries in the Americas and summarize relevant information on jellyfish fishing, processing, and management. Processing technology for edible jellyfish has not advanced, and presents major concerns for environmental and human health. The development of alternative processing technologies would help to eliminate these concerns and may open up new opportunities for markets and species. We also examine the biodiversity of jellyfish species that are targeted for fisheries in the Americas. 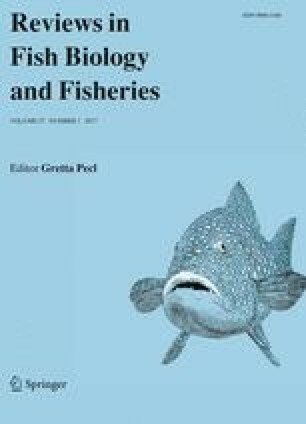 Establishment of new jellyfish fisheries appears possible, but requires a specific combination of factors including high abundances of particular species, processing knowledge dictated by the target market, and either inexpensive labor or industrialized processing facilities. More often than not, these factors are not altogether evaluated prior to attempting a new jellyfish fishery. As such, jellyfish fisheries are currently expanding much more rapidly than research on the subject, thereby putting ecosystems and stakeholders’ livelihoods at risk. We dedicate this paper to Dr. Hermes Mianzan, our friend and perpetual inspiration, who always wondered if a jellyfish fishery would be possible in South America. This paper was written because of him and for him. He is missed, but he lives on in our hearts. We thank Dr. Antonella Leone, Dr. Stefano Piraino, and chef Gennaro Esposito for introducing us to alternative preparations of edible jellyfish. This is a contribution from the Sea Around Us, a research program supported by The Pew Charitable Trusts and The Paul G. Allen Family Foundation. This paper has been partially funded by CONICET PIP 2013-00615 and PICT 2013-1773. This is CONACYT 249458 Project contribution. This is INIDEP contribution No. 1930. ACM was supported by grants 2010/50174-7, 2011/50242-5, and 2013/50484-4 São Paulo Research Foundation (FAPESP), and by CNPq (301039/2013-5). This is a contribution of NP-BioMar, USP.